The work of Nynke Koster balances on the border between design and autonomous art. Her work is about rubber and space. 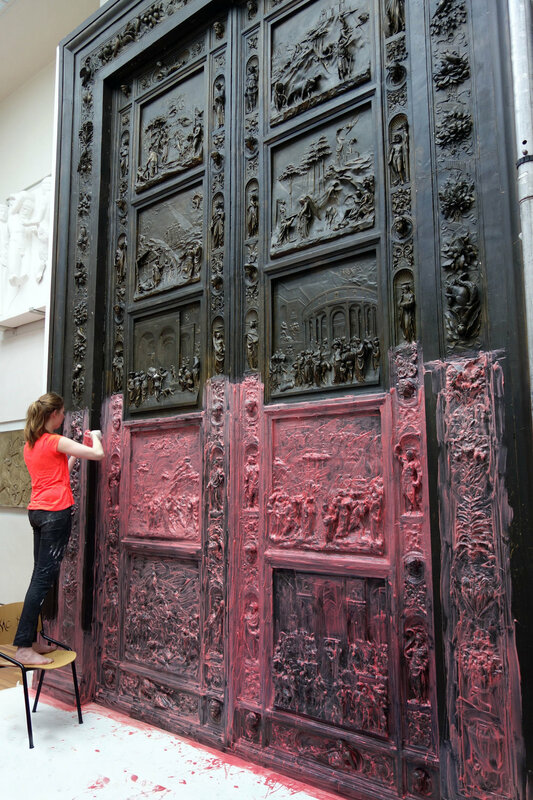 She finds these molds in unique spaces in structures of buildings, interiors and bodies. She takes parts of these embracing places with her as her 3D memories'. Because of here love for craftmenship each work is an unique and personal object. With a special created rubber Nynke can cast about everything without harming the surface. It is to connect to a place, take it with me and giving it back to others'. The wonder of the history of places takes things literally closer. The traces of men live on for years. Nynke wants to pass these tangible and immaterial relics from the past on to future generations. ‘In this volatile society we sometimes forget to keep looking around us’. Places from the past can give us a new perspective on the future. By translating these places into contemporary new materials, I bring my view of history and show this in the world of visual art and design’. Presentation at ground floor of the HAKA building. HAKA building, Vierhavensstraat 38-42, Rotterdam. Free parking is available at the Keileweg, which is around the corner. Paid parking is available in the Interparking Bigshops opposite of the HAKA building. During the opening dates a free shuttle service rides between the Van Nelle where Art Rotterdam takes place, the HAKA building and Rotterdam centre. The shuttle stop is right in front of our building and after Art Rotterdam (number 1) the second busstop (number 2) on the route and map. For more information about the work of Nynke Koster, receive a press-kit or newsletter please fill in this form. The studio is always looking for a new interns! Be part of the newest projects and learn the craftmentship of moldmaking, working with rubber and run your own studio!